The OXO Steel 7-piece Barware Set is the perfect balance of function and elegance. 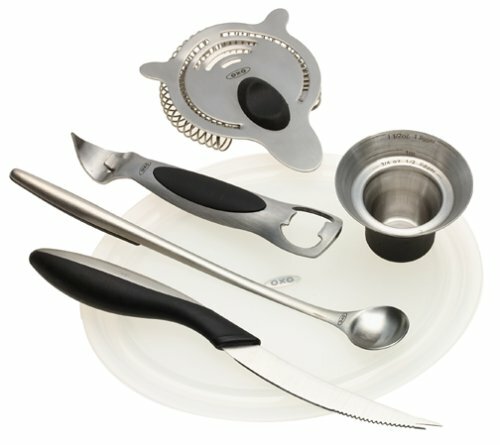 A Cocktail Strainer, Cocktail Mixing Spoon, Jigger, Bar Cutting Board, Citrus Knife and Bottle Opener are the essential tools for all barware tasks. Each of these tools has its own distinct storage space in the sleek stainless steel Bar Stand.